Pink Floyd released, "Louder Than Words", its first song in 20 years. The track will be on the legendary band’s next album - "The Endless River" - which comes out in November. It is also the most "conventional" and contains instrumental and ambient music tracks. "Louder Than Words" is a melancholy ballad composed by guitarist David Gilmour with lyrics by his wife, writer Polly Samson. "The Endless River" was created from leftovers from the recording of "The Division Bell" sessions. Launched in 1994, it was the last album. 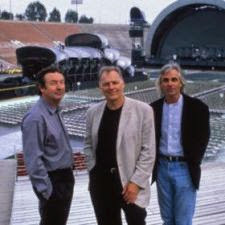 Gilmour and drummer Nick Mason (former bassist Roger Waters is not featuring on the album) decided to end the songs of the 90s as a tribute to keyboardist Rick Wright, who died in 2008. The two said that this will be the last material to be released with the group name.